1. Mycobacterium Tuberculosis: The Advisory Council for the Elimination of Tuberculosis, the American Thoracic Society, and the Center for Disease Control recommend that either streptomycin or ethambutol be added as a fourth drug in a regimen containing isoniazid (INH), rifampin and pyrazinamide for initial treatment of tuberculosis unless the likelihood of INH or rifampin resistance is very low. The need for a fourth drug should be reassessed when the results of susceptibility testing are known. In the past when the national rate of primary drug resistance to isoniazid was known to be less than 4% and was either stable or declining, therapy with two and three drug regimens was considered adequate. If community rates of INH resistance are currently less than 4%, an initial treatment regimen with less than four drugs may be considered. Streptomycin is also indicated for therapy of tuberculosis when one or more of the above drugs is contraindicated because of toxicity or intolerance. The management of tuberculosis has become more complex as a consequence of increasing rates of drug resistance and concomitant HIV infection. Additional consultation from experts in the treatment of tuberculosis may be desirable in those settings. 2. Non-tuberculosis infections: The use of streptomycin should be limited to the treatment of infections caused by bacteria which have been shown to be susceptible to the antibacterial effects of streptomycin and which are not amenable to therapy with less potentially toxic agents. Gram-negative bacillary bacteremia (concomitantly with another antibacterial agent). Looking for ideal Streptomycin For Injection Manufacturer & supplier ? We have a wide selection at great prices to help you get creative. All the Streptomycin Injection BP are quality guaranteed. 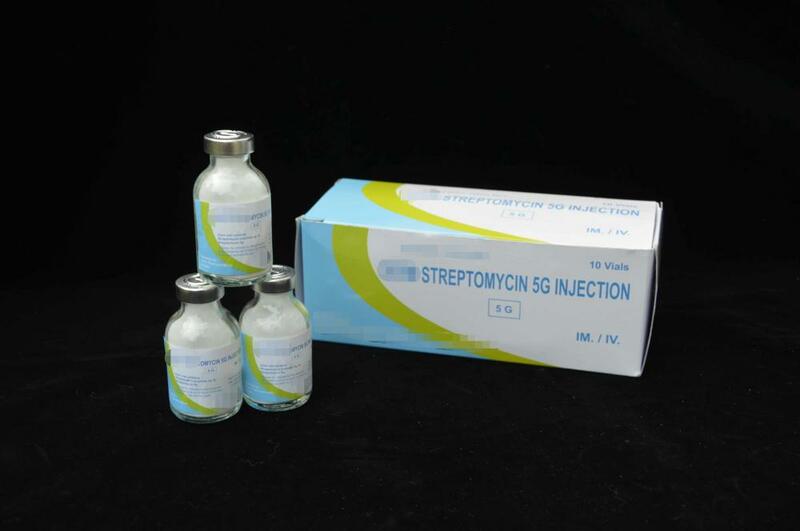 We are China Origin Factory of Streptomycin Injection 1G. If you have any question, please feel free to contact us.